Crafted in the heart of Jamaica. Premium aged golden rum. Matured in fine oak casks. 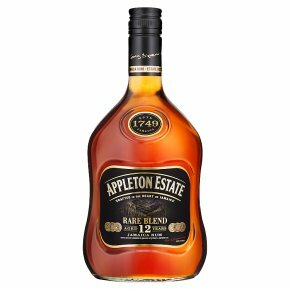 Appleton Estate Rare Blend, part of the award winning Appleton Estate Rum family, is an extraordinary Jamaican indulgence that cannot be rushed. It is a blend of the finest select aged rums, each one matured for at least 12 years. A constantly evolving taste experience with oak and cocoa notes, followed by delicate molasses, vibrant orange peel and rich vanilla. Savour it as a sipping rum or in an elegant rum cocktail such as a Mai Tai or Rum Old Fashioned simply replace Bourbon with Appleton Rare.